BOBST is one of the world’s leading suppliers of equipment and services to packaging and label manufacturers in the folding carton, corrugated board, and flexible materials industries. 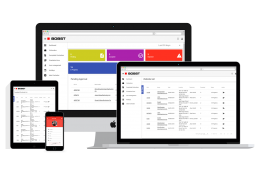 BOBST’s team wanted to automate the process of timesheet management for their technicians. 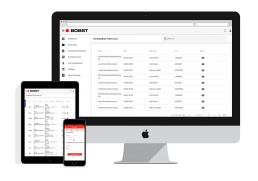 The BOBST team observed that filling out timesheets and submitting them was a tedious and time-consuming process for their technicians who have to work at various client locations. So, they wanted to make their technicians’ lives easier by providing an app which allowed them to fill in the work hours, travel costs, any leave taken, and additional work hours into the timesheet effortlessly. 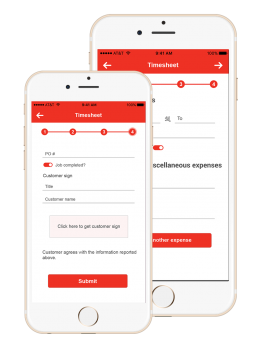 With the introduction of an iOS app and automation processes, BOBST technicians working at various locations are able to fill out the timesheets effortlessly. They will now be able to input their work hours, travel time and costs, days on leave, or additional work hours easily from the app on their mobile phones. The technicians will no longer need to report physically to the office to submit their timesheets. This automation saves a lot of time and has made the timesheet submission a much simpler task. The technicians can now input the data for their timesheets comprehensively at one time or when they complete their jobs on a weekly basis. 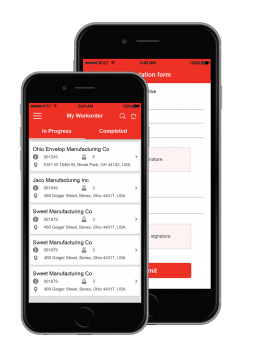 They can create an Orientation List, or view their work order list, or fill in the data of Ideal work order from any of the client locations across the U.S. and Canada.